The already collaborative-ladin ‘Japanese Wallpaper’ EP has taken a totally new form with this deluxe release. 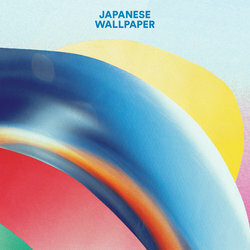 Featuring the stunning five original tracks, the ‘Japanese Wallpaper’ Deluxe EP also contains reworks by the incognito Sable, who added his twist to the Jesse Davidson collab “Between Friends”, UV Boi, who flipped “Waves” (featuring Pepa Knight) and production wunderkind Teen Daze taking on the champion single “Forces” (Featuring Airling). The EP also features reworks from the likes of Anatole, Elkkle, Grynpyret, Foxes In Fiction and Ceres. In the time it’s taken to complete his final year at high school, Gab Strum and his Japanese Wallpaper guise have risen at a meteoric pace. What begun as bedroom recordings taped between homework soon turned into his internationally regarded signature take on electronic pop music. The Yumi Zouma remix of "Forces" maintains the beautifully layered vocals of Brisbane local Airling, while maximizing the atmosphere of the track into lush oblivion. Publisher Zero Through Nine. Distributed by Inertia Pty Ltd.